Dr. Tawfik is a Board-Certified Dermatologist whose areas of professional interest include skin cancer detection and treatment, psoriasis treatment, including biologics and phototherapy, acne, rosacea, eczema, in addition to all other adult and pediatric skin disorders. He also holds M.Sc. in Clinical Pharmacology and Ph.D. in Pharmacology. 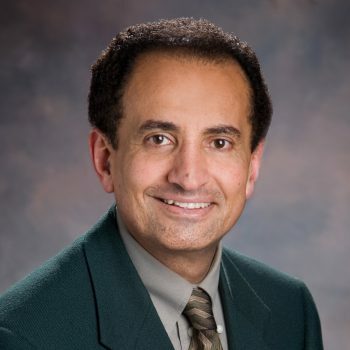 Dr. Tawfik has been a lead researcher, in the USA and Canada, for many Clinical Trials that produced several new medications to treat various skin disorders. He has many publications in highly regarded Medical Journals like; New England Journal of medicine, Journal of the American Academy of Dermatology, the Archives of Dermatology, and the International Journal of Dermatology. He has also participated in educating medical students in dermatology as Assistant Clinical Professor of Dermatology at Indiana University Medical School. Dr. Tawfik is married to his lovely wife of 37 years, Afaf, who holds a Pharmacy Degree, and they have a daughter, Dahlia, who is a Surgeon sub specializing in Advanced GI MIS at UNC, and son Daniel who majored in Informatics and Business from Indiana University and currently works at Target Corporation Head Office in Minneapolis, MN. Dr. Tawfik’s interest includes running, cycling, and traveling with his wife. Lebwohl, M., Tawfik N.H., et al. (2004) Imiquimod 5% cream for the treatment of actinic keratosis: Results from two phase III, randomized, double-blind, parallel group, vehicle-controlled trials. J. Am. Acad. Dermatol. 50 (5):714-721. Drake, A., Shear, N.H., Tawfik, N., et. al. (1997) Oral terbinafine in the treatment of toenail onychomycosis: North American multicenter trial. J. Am. Acad. Dermatol. 35 (5):740-745. Magro, C., Tawfik, N., Crowson, N. (1994) Lymphomatoid granulomatosis presenting as a solitary cutaneous lesion. Intr. J. Dermatol. 33:188-189. Tawfik, N. (1993) Weighing your diagnostic approach to scaly eruptions. Can. J. Diag. 10:77-97.